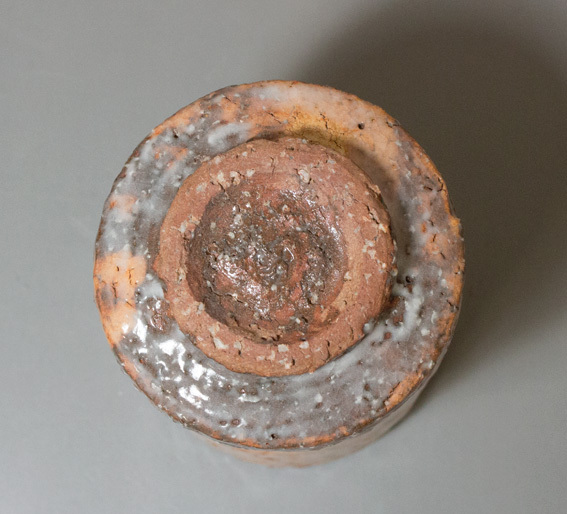 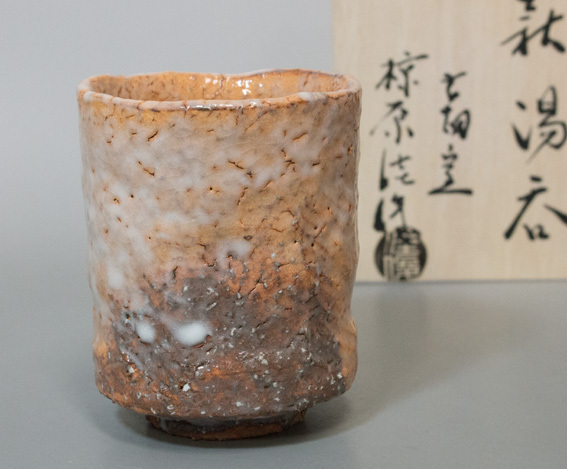 This yunomi is loquat (dark pinkish-orange) color covered with a thin white glaze. 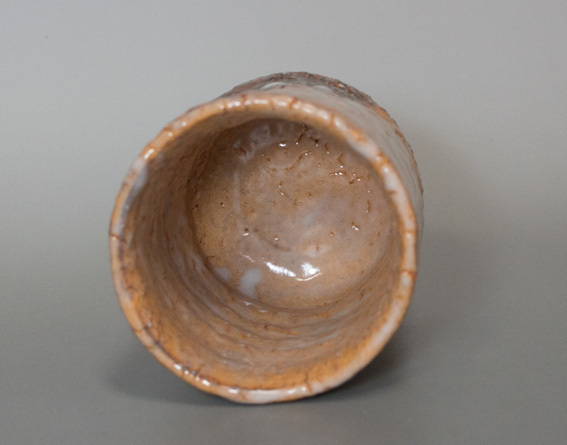 The glaze has a beautiful flow pattern coating the body with a transparent sheen. 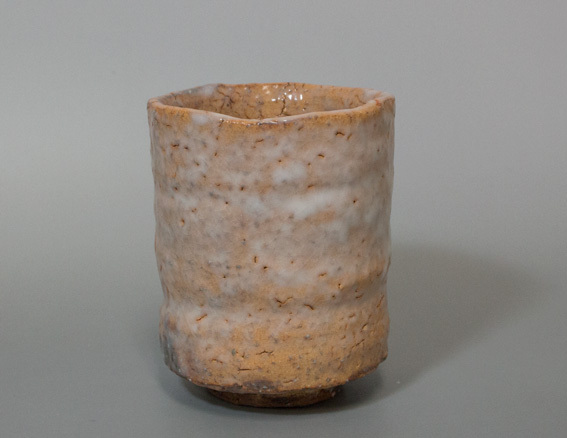 (The color of the glaze is actually half-transparent but looks rather thicker in the photos).